An explosiv has occurred near Times Square in New York's Manhattan area. 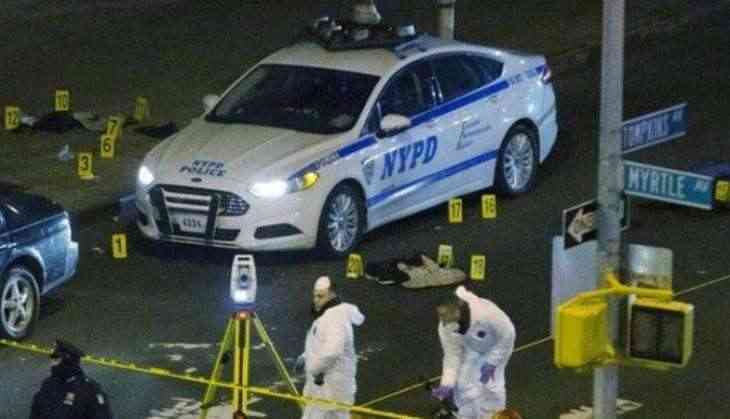 According to reports, New York Police has reached the spot. There has not been any disclosure about the reasons for the blast, but one person has been taken into custody. The whole area has been evacuated right now. Apart from this, in view of security, nearly three lines of Metro service have been stopped. White House press secretary Sarah Sanders said that President Donald Trump has been informed of the incident. A police officer near the scene said: "There was an explosion under Port Authority somewhere in the subway. That's all we've got for now."